Zoran Ristanović will defend his dissertation, entitled: ‘Zeolite chemistry studied at the level of single particles, molecules and atoms’. During his PhD-track, Ristanović developed a method to study Zeolite Chemistry at the Level of Single Particles, Molecules and Atoms. Zeolites are microporous aluminosilicates that find a wide-spread application as catalysts in the oil refining and petrochemical industries. Zeolite acidity and related chemistry play a major role in numerous catalytic processes and it is of significant practical interest to understand their reactivity and the location of acid sites. 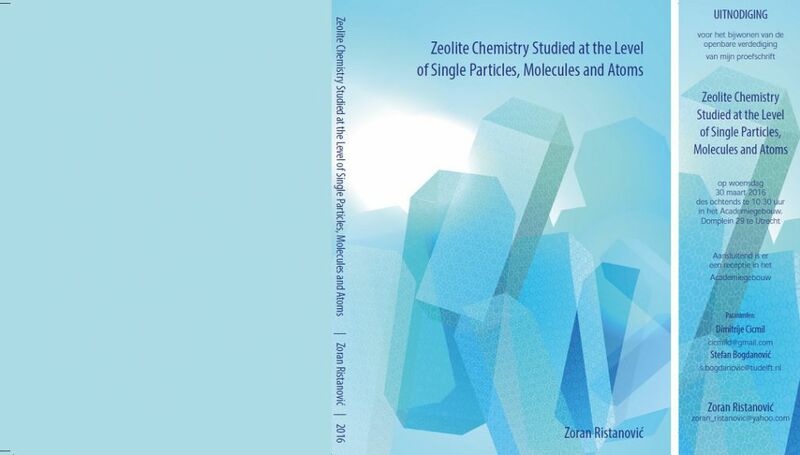 This PhD thesis makes a step forward towards using novel characterization methods to study zeolite chemistry. Diffraction imaging, atom probe tomography and single molecule fluorescence microscopy emerge as novel tools to characterize the structure and reactivity of individual catalyst particles, providing unprecedented insights into zeolite chemistry at the single particle, molecule and atom level. Zoran Ristanović continues as a Postdoctoral Fellow at Inorganic Chemistry and Catalysis. His current research focuses on studying the self-assembly and growth of nanosheet porous materials under synthesis conditions.